In ancient times Horoscopes / Kundli / Janma Patrika / Kushti / Tipni were made by pandits using patra.In modern age making the proper utilization of technology , we have now days developed software pro gramme to make horoscopes within a twinkle of an eye , scrapping the old monotonous mode of horoscopes making in a months'' time. In ancient times Horoscopes / Kundli / Janma Patrika / Kushti / Tipni were made by pandits using patra.In modern age making the proper utilization of technology ,we have now days developed software pro gramme to make horoscopes within a twinkle of an eye , scrapping the old monotonous mode of horoscopes making in a months'' time. The computer horoscopes data are more perfect and reliable then those made by hand , say for example a calculation made using a calculator is always more reliable , accurate and authentic instead made manually. 1. 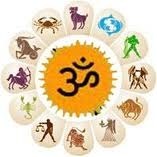 In order to make any horoscope we need the native Date of Birth , Time Of Birth and Place Of Birth (city/District name). 2. In general it takes ten minutes to make a horoscope. 3. Horoscopes are made in three common languages , namely Hindi , English and Gujarati. 4. Charts could be made in North Indian Mode , Bengal Mode , South Indian Mode. 5. K.P Padatti and N.C Lahiri Padatti are generally used by us. It includes basic calculation part , to be used by any astrologer for making predictions. It includes general Birth details , Planets degrees with nakshatra , Lagna chart , Navmansha Chart , Saptmansha Chart , Bhav Chart , Ashtmansha chart , Vimshotari Mahadasha and Pratyantra Dasha for 100 years from date of birth etc. In addition to the above mentioned data in this category we provide advance calculation tools such as Tribhagi Dasha , Yogini Dasha , Astak Varg , Sudarshan Chakra etc. A basic prediction part is also provided along with it. This is the complete mode of any horoscope which includes all calculation tools with detail prediction in general for the entire life and stars predictions. This include the yearly chart along with prediction for any given year divided into twelve months starting from the date of birth of the native. This is used to find a match between prospective pair using there birth details to find the number of Gun Matching , Manglik dosha match and overall recommendation on the pair match. Best shop for Government(G.S.I) Certified Gemstones.Genuine & Guaranteed original Astrological Color Gemstones,Nepal Rudraksha beads(1-21mukhi),Rudraksha Malas,Sphatic Items(Shree Yantra ,Pyramids, Malas), Parad (Parad Shivling , Shree Yantra) ,Dakshinavarti Sankha (Conch), Yantra ,Computer Horoscope , Vaastu Consultancy , Astrology Consultancy , Palmistry, Match Making and Astro-occult Items (Billi ki Zer , Gorochan , Kasturi , Kali Haldi , Gomti Chakra).